This rather variable plant is our commonest Calypogeia, and one of the most frequently encountered British liverworts. It usually grows appressed to a substrate, with shoots 1.5 to 3.5 mm wide, composed of 2 rows of slightly overlapping, not quite opposite leaves held at 90° to the stem. Plants growing through Sphagnum are more straggly, with widely spaced leaves. Leaves are slightly less than 2 mm long and wide. 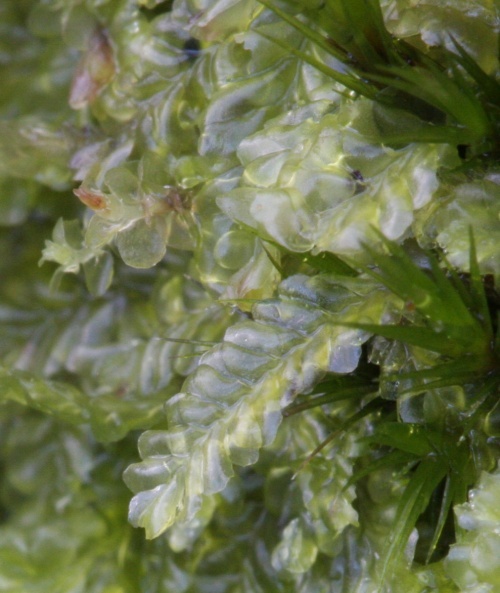 The leaf shape is typical of the genus, but is usually more pointed than in most other Calypogeia species. 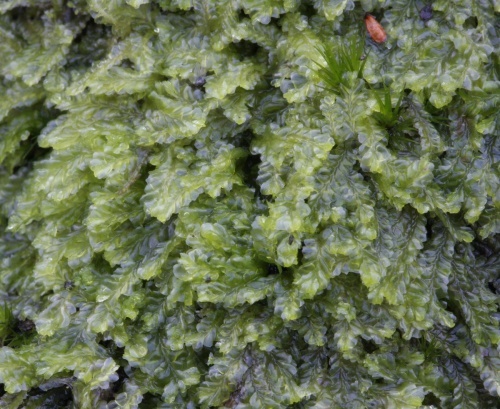 Many leaves end with a shallow notch, although some plants lack this almost entirely. A better clinching character is provided by the underleaves, which are deeply bilobed and have an extra lobe on each side. Pale green gemmae are usually present at the shoot tip. Grows on acidic soil, peat, soft rock, rotting logs, and Sphagnum or purple moor-grass (Molinia) tussocks. Woods, hillsides, bogs and heaths are all typical habitats.